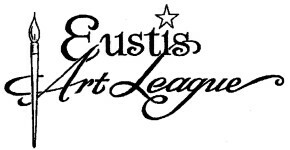 Lake Eustis Museum of Art, Lake County's only art museum, is dedicated to the exhibition and collection of fine art and the presentation of museum-quality art education programming to enrich culture and enhance economic development of our diverse community. The Mount Dora Center for the Arts is a multifaceted community center providing fine art gallery exhibitions, education programs for all ages and levels, Art of the Deal – an annual fine art auction, quarterly Art Strolls and the Annual Mount Dora Arts Festival, which brings together nationally acclaimed artists for a weekend-long arts experience. LEESBURG ART ASSOCIATION MISSION STATEMENT • The purposes of the Leesburg Art Association are as follows: • Foster and encourage artistic talent and art appreciation, • Bring together and encourage all people interested in art, • Cooperate with other organizations having similar ideals and purposes, • Further opportunities for participation in classes and workshops and • Support the arts within the Leesburg community and surrounding areas. The Pastel Society of Central Florida (PSCF) meets once a month. Our meetings feature a demonstration artist (either in person or by video), general membership news and fellowship. American Abstract Artist - Art has the ability to give something back beyond wealth, fame or critical acclaim. The joy in art making comes when one’s mind, body and spirit are relaxed and set free from the barriers of Western, Euro-centric intellectual protocol. My experience with Zen brush painting, coupled with emotional release techniques has brought me over thirty years of constantly renewing and revitalizing life-sustaining vigor in the studio. A professional painter for years now, I also teach painting and art history classes at our local arts center and in my studio rooms in Florida. A mother of four amazing people, I live in a big, old house in little, old Eustis with my husband, the three children still at home, two dogs, three cats which are supposed to stay outside and don't, assorted ghosts, and two turtles. The husband is the most help, the children are the most fun, the dogs and cats are good company, the ghosts are a bit strange, and the turtles are the least trouble. Liz will be hosting some acrylic workshops at her studio on Baker St. in Mt. Dora this fall.